If you're a nurse in search of a job, or a nurse who may be looking for a job in the near or distant future, you need a career toolbox that will serve you well in the long- and short-term. That said, even if you're a nurse in mid-career, your toolbox should be maintained and improved constantly. Your career toolbox is, in effect, also your job search toolbox. I say this because, even if you're not currently in the job market, most of these tools should be kept sharp, oiled, and ready for use at all times, even if you're in a job where you're completely satisfied and happy. You may ask why you should have such tools at your disposal at all times, and my response is this: nursing and healthcare are volatile industries, and even the most wonderful position can be cut, downsized, or otherwise eliminated at any time. So, you need to keep your head on a swivel (as my colleague and friend Kevin Ross of RNFM Radio and InnovativeNurse.com likes to say) and stay nimble as your career progresses and the healthcare ecosystem shifts and changes all around you. Your resume: No matter how happily employed you may be, you should be reviewing, editing, and updating your resume every six months. Even if you want to apply for a promotion or other special project at work, a resume may be required, so why not have one ready to roll at all times? To read a quick post about resumes and hear my podcast about the subject, click here. Your cover letter: A skeleton cover letter should be in your toolbox at all times, and this cover letter can be tweaked, updated, and otherwise adapted for specific positions and opportunities on a prn basis. Your Linked In profile: Linked In is the place to connect with other professionals while shining a light on your skills, expertise, and professionalism. Every savvy 21st-century professional should have a complete and robust Linked In profile. My podcast and post regarding Linked In can be found by clicking here. You can find another post here. Your business card: Yes, you heard me. You need a business card, nurses! Whether you're employed or not, you should have a business card. It doesn't have to be fancy or expensive. It needs to have your name, email address, phone number, and the "vanity url" of your Linked In profile. If you don't have your own Linked In url, I can show you how to do that! Also, make sure your email is professional, like "JaneSmithRN@gmail.com", not "ilovethemuppets@yahoo.com". Your email address needs to look professional, and your outgoing voicemail should also be professional, stating your name and number clearly. Your robust professional network: Just like you need a resume, cover letter, and complete Linked In profile at the ready in service to your career mobility, you also need a robust professional network at your fingertips. This network includes current and former colleagues, Linked In connections, professionals in related (and unrelated) fields, as well as friends and family members. Every professional needs to be consistently building their network throughout their career, and my post and podcast about networking can be found at this link. Your skill set: As a professional nurse, your skill set is continuously updating and improving, and this multifaceted skill set is key to your career success and satisfaction (and I don't just mean clinical skills). Other skills include computers and technology, networking skills, your general nursing knowledge base, management skills, communication skills, and so much more. Nurses generally don't rest on their laurels, so build those skills (and add them to your resume and Linked In profile). Your nursing career toolbox has no limits, and you can add to it for decades. In fact, you should! 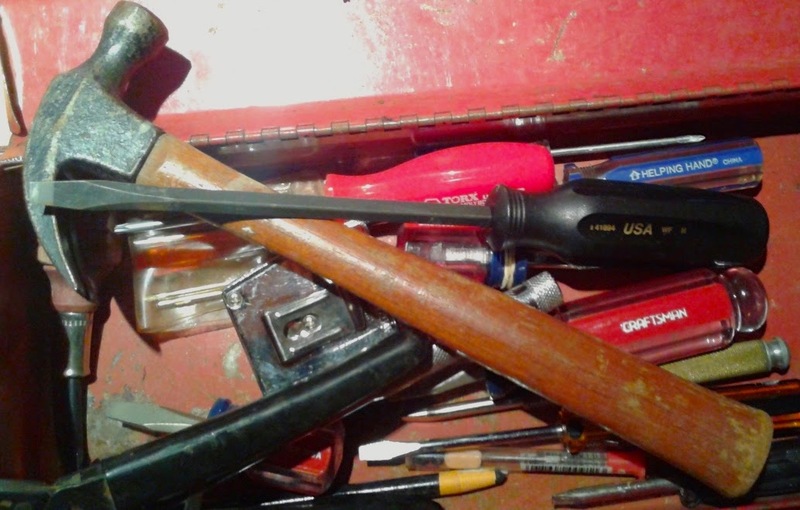 This toolbox has no weight and can be carried in your brain (and some of it can obviously be stored on your computer hard drive and in the cloud-based Internet). Just like carpenters and plumbers, nurses have toolboxes, but their toolboxes are both literal and figurative. Your resume is a tangible thing (even if stored on your hard drive), and your skill set and professional network are more figurative and harder to actually touch. No matter, these tools are all equally important for you at all stages of your career. Since your toolbox has no limits and is available for updating, rebooting, and editing at all times, there's no time like the present to do something about it. If you need help with some aspects of your toolbox, you can always engage a career coach like me, or use the Internet to find the assistance you need via videos, blog posts, forums, online groups, chats, and articles. So, professional nurses, get that nursing career toolbox in order, sharpen and oil those tools, and continue on your merry way as your career shifts, changes, transmutes, and develops over time.